Chris - Aspirin was touted originally as treatment for pain; but, 100 years on, we now know it's much more powerful than that. Peter Rothwell is Oxford University's Professor of Clinical Neurology and he's with us to discuss what else aspirin can do. Hello Peter. Chris - Thank you for joining us on the Naked Scientists. So tell us, what else can aspirin do, apart from be a very good pain killer? Peter - Well as you say, it's still a good painkiller and a lot of people use it for that reason, particularly patients with migraine for example. But it's probably used more widely now as what's called an anti-platelet drug or an antithrombotic drug to reduce the risk of blood clots, particularly in people at risk of heart attacks and strokes. It was realised slowly in the 1950s and 60s that people who took aspirin regularly seem to have a lower risk of recurrent heart attacks in particular, and then it was found that the mechanism of this was by inhibiting platelets which were one of the crucial cells that form blood clots. Therefore, people started to do clinical trials in the 1970s, to see whether in randomised trials, it really would be effective in preventing heart attacks and strokes. And generally speaking, these have all been positive. It reduces the risk of a stroke or a heart attack if you've had them already by about a third. Chris - It's quite surprising that someone made the observation that the aspirin users were having fewer heart attacks and strokes because they didn't initially suspect that might be the case, so they wouldn't have been looking for it. Peter - No. it's one of those fortuitous observations as things often are in medicine. In fact, it was at the very far-sighted general practitioner that noticed in his patients. Chris - That's a bit like the cure for smallpox, I suppose. The vaccine for smallpox [was discovered by] another GP, Edward Jenner in that case. So tell us a bit about how aspirin actually works. How is it doing what it's doing, both to cure a migraine as you mentioned, but also, to do these other things to stop blood clotting quite so keenly? Peter - In relation to blood clots, what it does is inhibit one of the processes, whereby platelets become activated. Of course, we've all got platelets going around in our blood all the time and for the most part, they don't become activated. But when they come across various stimuli such as collagen, they become activated and clump together and form blood clots. One of the mechanisms that this happens is via an enzyme called cyclo-oxygenase, which is part of the pathway that synthesises prostaglandins. Aspirin irreversibly inhibits the cyclo-oxygenase enzymes and therefore, blocks that particular pathway. 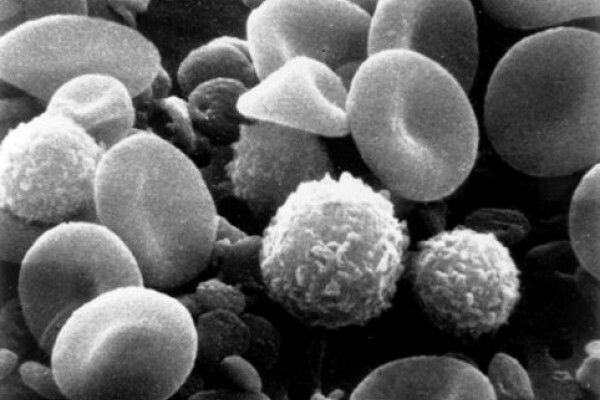 The platelets still work via other pathways, but they just work less effectively. Chris - What about the side effects though? Because, as we heard from Sarah's history piece just now, people had realised that there were these chemicals in nature, they took them from meadowsweet and willow bark and things which were very good at taking away the painful problem. Presumably, they're also going to have some of this anti-thrombotic effect, but they also have the side effect of making people have very bad stomach ache. So, why does aspirin not do that as much as salicylate, but still, nonetheless, does cause a problem? Peter - Well it still does this unfortunately and there are essentially, two mechanisms involved. One is that the anti-platelet effect itself means that when the stomach lining is damaged, you're more likely to bleed. But in addition to that, aspirin does seem to inhibit the healing process that maintains the endothelium, the protective surface of the stomach lining. Chris - So, apart from the fact that it does stop blood from clotting and had a very dramatic effect on strokes and also on heart attacks, saving literally, millions of lives. How is it now emerging that it's doing all these others things because the benefit don't stop there, do they? As we've alluded to, there are benefits for cancer and also, potentially for dementia. Peter - Certainly the benefits for cancer are becoming more clear cut. I think there's still a lot of uncertainty about whether it has a beneficial effect for dementia, but it's certainly a possibility. What's clear is that the effect of aspirin, particularly on this COx2 enzyme system, occurs in most tissues that express the enzyme - which is the majority of tissues in the body. And so therefore, it has a broader anti-inflammatory effect. In fact, that's one of the mechanisms as it works, in terms of reducing fever and reducing pain, as an anti-inflammatory drug. Inflammation is a very important process in the development of several diseases including cancers. It looked to us for two or three decades now as though, from the epidemiology, aspirin potentially could prevent at least some of the more common cancers. In recent years, people have now followed up patients who were in trials of aspirin many years ago, to see whether there is any evidence of reduced risk of cancer. Over the last years, several studies have shown that in fact, that's the case. Chris - Does the same mechanism apply probably, if it's going to, in the anti-dementia protective effect? Peter - Certainly there's a link between the inflammation and dementia, inflammation and depression, and certain other neurological diseases. So, one might expect a anti-inflammatory effect to have some benefits in terms of neurological diseases. But there are a whole host of other things that aspirin does which could also be involved, and it's not clear if there is an effect, what the mechanism is. Chris - Do you have any feeling, Peter, for when someone should start to take aspirin? At what age would you need to initiate it in order to get all these benefits or is that a very hard question to answer? Peter - It's hard to be absolutely certain about it for an individual, but I think what we can say is that the risk of heart attacks and strokes, which is obviously one of the things you're trying to prevent, increases with age. When you get into your mid-50s, particularly if you have a family history or any other risk factors, trials have already shown that the benefits of aspirin in terms of prevention of heart attacks and strokes outweighs the risk of bleeding. It's just that it's a relatively small benefit for the individual. But the more recent data showing that aspirin also reduces the risk of death due to several common cancers when added to that existing benefit, really does tend to push things towards significant benefit. The complication is that the risk of bleeding increases with age. And so, when you get to your mid-70s, certainly, the risk of bleeding probably outweighs the benefit. So one might argue that people should consider taking aspirin from the age of about 50 to 75. Chris - Because there was a paper that was published a year or so ago from a group in Edinburgh and they were actually saying that quite a few people do actually self-treat with aspirin. They've just read the newspaper reports and various publications, saying that aspirin has all these beneficial effects. They therefore put themselves on it and they were saying, that actually, the balance is that it could be bad to do that because the people who don't need it will be doing it equally, alongside people who do need it, and so, one could balance out the other and there'd be some people who will suffer at the hands of taking aspirin they didn't need and there'll be others who do benefit of it. Peter - That's absolutely right and as always, with self-treatment, it often tends to be the fairly health conscious people that think about taking aspirin. And often, they're the people with a relatively low vascular risk because they don't smoke, they have few other risk factors, they exercise regularly and have a good diet. So it is a question of balancing the risk and the benefits. But once you're getting to your 50s and certainly your 60s, if you have one or two vascular risk factors, then usually, you're into that group where the benefit will outweigh the risks, certainly for preventing heart attacks and strokes. And then when you add on the reduction in deaths due to fatal cancers, it does push things in that direction for a lot of people. Chris - And what about if someone's on an aspirin-like drug which isn't aspirin, and I'm thinking things like ibuprofen, if they've got some aches and pains. It works very similarly to aspirin, doesn't it? Does it also confer the same risk benefits in all of these other things that you've outlined? Peter - It's a good question. It doesn't seem to so well at least for prevention of heart attacks and strokes. But it may well have, the drugs like ibuprofen and other non-steroidal anti-inflammatory drugs, may have similar benefits for cancer. We don't have hard data from randomised trials but the epidemiology suggests the effects may be similar for cancer. MAMILs: To run or not to run?